A Black teenager was dead and a Chicago police officer was being held responsible for shooting him 16 times. There was a video to prove it. And, there was also an FBI investigation and a state criminal investigation to find out why Officer Jason Van Dyke needed to shoot Laquan McDonald so many times on October 20, 2014. On April 13, 2015, six Black aldermen were among 18 aldermen who were given these facts at a meeting at City Hall. The folks at City Hall were nervous about an explosive case alleging police misconduct. Then-Corporation Counsel Steve Patton wanted to quickly get approval of a $5 million settlement before the mother of a dead son took her story public with a wrongful death lawsuit. 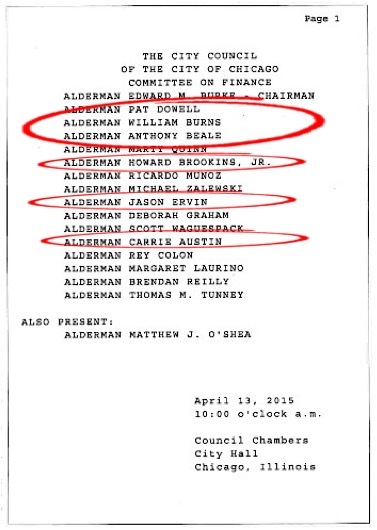 The agenda of the Chicago Finance Committee from April 13, 2015 shows that 18 aldermen attended the meeting, including six Black aldermen. At that meeting, Aldermen Pat Dowell (3rd), William Burns (4th), Anthony Beale (9th), Howard Brookins, Jr. (21st), Jason Ervin (28th), and Carrie Austin (34th) approved the settlement with most saying not a word. Despite the red flags, they advanced the proposal without raising any concerns or tough questions about an item that deeply affected the residents in their wards. Two days later, these same aldermen were silent again as the City Council took just four seconds to give the final approval, 47-0. For more than three years, neither these aldermen nor even the Chicago Black Caucus, sent a press release or statement as to the details of this meeting, their role in approving a settlement and whether they were aware of a police video that eventually brought shame on the city, its police department and convicted murderer Van Dyke. At community town hall meetings and in stories in the Chicago Crusader, these aldermen were given plenty of chances to explain themselves, but they remained silent. 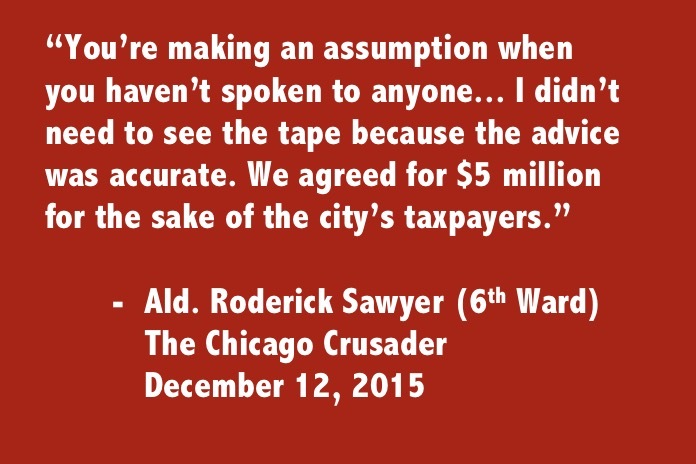 In Part Two of its investigation, the Crusader examined the transcripts of the Chicago Finance Committee and confirmed what many in the Black community knew all along: that some of these aldermen were aware of the video, but approved the settlement anyway. The transcripts show that many were silent as the $5 million settlement proposal was pushed through not one, but two meetings, as part of the mayor’s agenda to protect the city, the police department, and most of all, his political career. 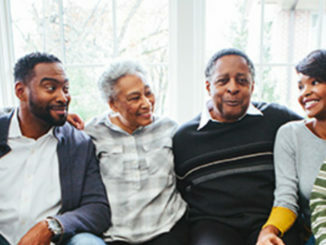 In the end, lawyers got their cut, the city saved millions and the family of McDonald walked away with a smaller portion of a negotiated settlement that ended all hopes of filing a wrongful death lawsuit that could have netted them much more. 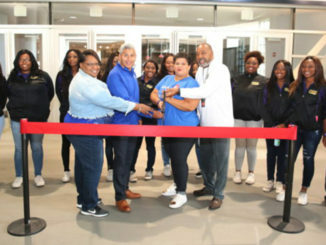 This story involves two meetings where the settlement was approved: the Chicago Finance Meeting on April 13, 2015 and the City Council meeting two days later on April 15, 2015. Of the two, the Crusader story involves mainly the transcript of the Chicago Finance Committee. That transcript is the official public record that sheds the most light on a settlement that was approved just eight days after Emanuel was re-elected, while the city suppressed the video of McDonald’s murder. The transcript of the City Council simply shows the same aldermen approving the settlement again with the rest of the aldermen. That vote only took four seconds, with no debate. Of the six Black aldermen who twice approved the settlement, four were named in a Crusader investigative story where state documents showed that they took thousands of dollars in campaign donations from Emanuel one week before the $5 million settlement was to be approved. Documents back up Dowell’s claim that she helped Emanuel get re-elected, but the story raised questions if the donations also forced them to be silent on a settlement in a police shooting case that Emanuel tried to keep hidden from the public. For this story, the Crusader closely reviewed the transcript, its archived stories and articles from other news outlets. Because of the terms of the settlements, the parties involved cannot speak about it. McDonald’s relatives prefer not to speak openly about the subject and have moved on with their lives. The date was April 13, 2015. It was a Monday, six days after Rahm Emanuel’s landslide victory against the city’s first-ever mayoral runoff election against Jesus “Chuy” Garcia. In the council chambers at City Hall were 17 aldermen who were members of the Chicago Finance Committee. 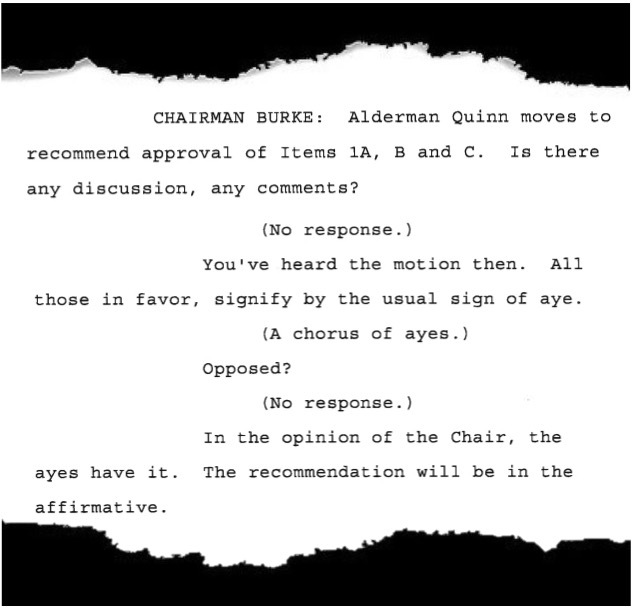 Headed by Chicago’s longest-serving alderman, Edward Burke (14th Ward), the finance committee approves hundreds of settlements that involve cases of police misconduct. That day, three proposals went before the committee. Lawyers from the city’s corporation counsel made all three presentations. Item 1A was a claim from McDonald’s estate. Then Corporation Counsel Steve Patton gave the background facts to the case. The timeline was from the citizen’s 9-1-1 call after they saw McDonald trying to break into several vehicles at 41st and Kildare to the point where two officers jumped out of their squad car with their guns drawn. The officers were Joseph Walsh and his partner Van Dyke. Neither of the officers’ names was released because of an agreement with the Fraternal Order of Police not to disclose an officer’s identity until he or she is identified as part of criminal legal proceedings. During the Chicago Finance Committee Meeting, all 18 aldermen, including six Black aldermen were made aware that a video of the shooting existed, but the transcript showed that none of them demanded to see the video during the meeting. Patton then told the aldermen that there was a dispute between the officer and the plaintiff over who was at fault. “The shooting officer contends…that Mr. McDonald was moving toward him. He was in fear of his life. That settlement was $5 million. In February 2017, lawyer for Tina Hunter, Jeffrey J. Neslund and Michael D. Robbins initiated a $16 million suit—$1 million for each shot. They did not want to file a lawsuit, but somehow, the city got them to agree to just settle for $5 million. It’s not clear how the amount ended up being over three times less than the original settlement offer. News reports said that the lawyers and the city wanted to avoid a wrongful death lawsuit. For the plaintiff’s lawyers, a long drawn out wrongful death lawsuit would mean they would have to wait longer to collect their share. For the city, a wrongful death lawsuit would not only cast Emanuel, the city and the police department in a negative light, but it would also cost the city heavily in legal fees and other litigation costs. Alderman Jason Ervin (28th) asked Patton how he negotiated the $16 million down to $5 million according to the transcripts. But this was no average case of police conduct. 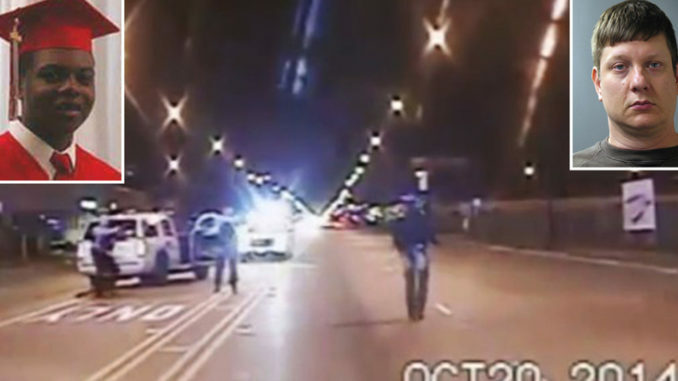 There was a dashcam videotape showing that Van Dyke had shot McDonald 16 times. 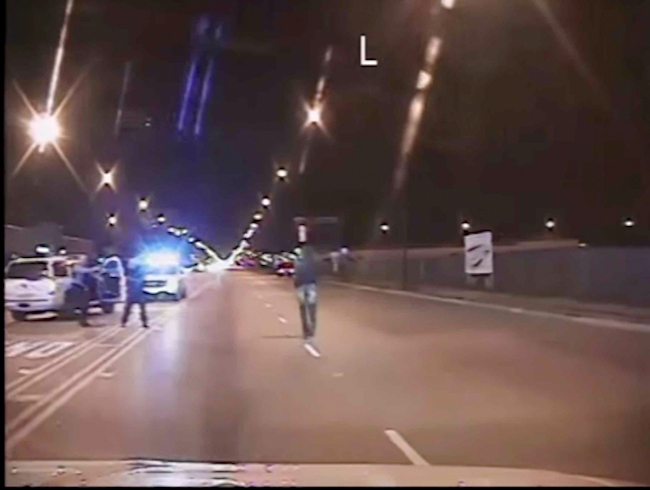 It also showed the teenager not threatening Van Dyke, and moving away from him, contrary to falsified police reports. While the aldermen were made aware that the video existed, it was never shown during the meeting. 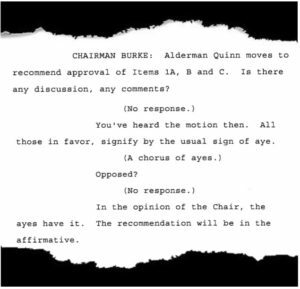 The transcripts also show that none of the aldermen, Black or white, demanded that the video be released as part of their approval. However, in the Finance and City Council meetings, Brookins stayed silent. So did Austin, who. in the Sun Times story, strongly disagreed with Brookins. She wanted to keep the video under wraps for a different reason. “It would incite somebody….to do something violent; to rise up in ways that aren’t necessary,” Austin told the newspaper. Time has proven Austin’s predictions to be wrong. 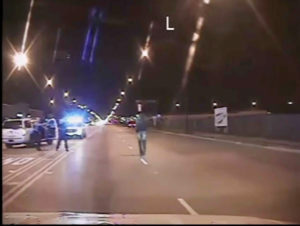 Without the video, Van Dyke would be free and back patrolling the streets, former Cook County State’s Attorney Anita Alvarez and former Police Superintendent Garry McCarthy would still have their jobs, and Rahm Emanuel would be running for a third term in office; there would be no U.S. Justice Department investigation or consent decree. 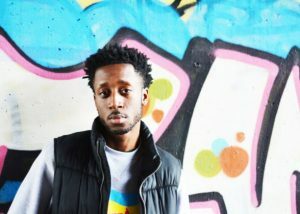 And contrary to Austin’s views, following the release of the video, there were many protests in the city, but very few included acts of violence. No deaths, looting or destruction to property were reported either. 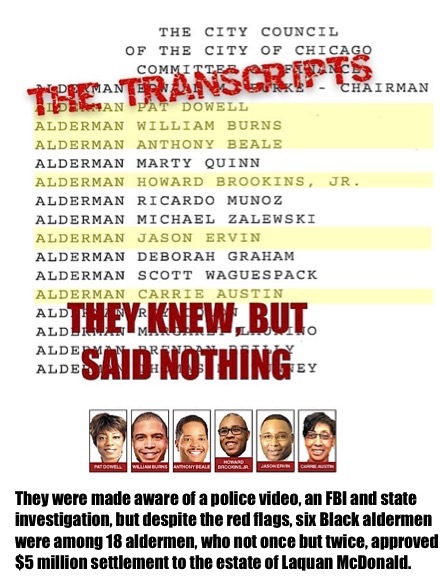 The transcript does not show any of the six Black aldermen making any demands to release the video. They did not ask any questions, make any comments or even challenge Patton on behalf of their constituents. 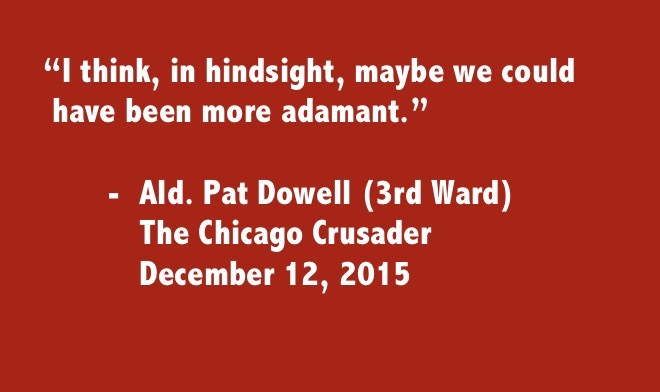 For this story, the Crusader emailed again and again all six Black aldermen. 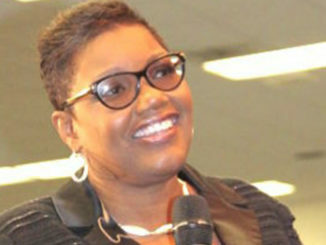 Tarrah Cooper, a political strategist and public relations executive who was once the press secretary for Emanuel, would not make the aldermen available for comment despite multiple requests from the Crusader.The Crusader cannot print any of the statements she made; she spoke on the condition that the interview be off the record. Cooper said Alderman Roderick Sawyer (6th) and some of the Black aldermen attended some one-on-one meetings between the city, McDonald’s estate and their lawyers. When the Crusader asked for documents of those meetings, she referred this reporter to Bill McCaffey, who did not get back to the Crusader as of press time Wednesday. The transcript does mention that negotiations took place up until both the Chicago Finance and City Council meetings, but it does not list what aldermen were in on those meetings. 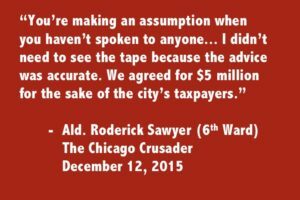 Aldermen Sawyer, Dowell along with Cooper were at the Crusader offices on October 8, to express concerns about the first investigative article, “Bought?” which was published October 4. The Crusader is unable to publish what was said in the meeting, but the newspaper gave the Black aldermen an opportunity to write a response to “Bought?” and offered to publish the response on the front page in the next edition. That same afternoon, Cooper called the Crusader, saying the group had withdrawn its plans to write their response. The next day, the Crusader learned from a story in the Chicago Tribune that Sawyer had received a $20,000 campaign donation from Emanuel. Sawyer received the donation just prior to his meeting with the Crusader, but never disclosed it to the newspaper. Two days later, Sawyer announced he would give the mayor’s $20,000 campaign donation to 10 community organizations in his ward. 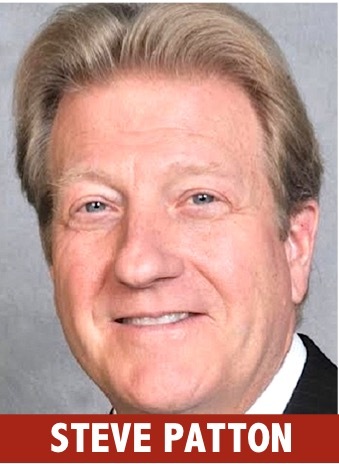 Cooper, Sawyer’s spokesperson, did not return several emails asking why Sawyer failed to disclose the mayor’s donation during the meeting with the Crusader. Radio station WVON invited the aldermen for a roundtable meeting, but none accepted the invitation. Dowell is not speaking to the Crusader either. But three years ago, she spoke to this Crusader reporter at that same town hall meeting Sawyer attended at Liberty Baptist Church. At that meeting at Liberty Baptist Church, then Ald. Will Burns, who attended the Chicago Finance Committee, viewed the town hall meeting by himself on the balcony before members of the audience asked him to come down to answer their questions. Then there were the FBI investigation and the State’s criminal investigation of the shooting. Patton made the aldermen aware of this in the Finance Committee meeting. That same Monday, then-U.S. Attorney Zachary Fardon confirmed that the FBI was leading a criminal probe of Van Dyke. There was also an investigation from the Cook County State’s Attorney and the Independent Police Review Panel. None of these facts raised the red flags to get Aldermen Dowell, Burns, Beal, Brookins, Ervin, or Austin to speak up or ask questions. But the problem was that there were no cases of misconduct that went to trial. Officers are rarely charged with police misconduct because they are usually protected by Illinois’ use of deadly force law. But Van Dyke’s case led to the state’s first conviction of a police officer in 50 years. Not only was he convicted of murder, but also of 16 counts of aggravated battery with a firearm. The transcripts also failed to show Patton mentioning Van Dyke’s spotty history as a 14-year veteran at the police department. Before the shooting, he had racked up 20 citizen complaints. One man was awarded $350,000 by a jury after he sued Van Dyke, accusing him of using excessive force during a traffic stop. The transcripts also show that Ervin and the aldermen did not ask questions about Van Dyke’s background, the multiple investigations or details of the videotape or even why the city was moving so quickly to get the settlement approved. After a few more questions, they heard two other cases and approved all them. 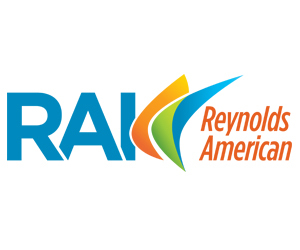 Two days later, the City Council voted 47-0 and the $5 million settlement was final. Again, none of the Black aldermen, including the six who okayed it at the Finance meeting just two days prior, said anything, even though they knew about the video and multiple investigations. In the end, of the $5 million settlement, McDonald’s mother received just $1,300,000—less than her attorneys, who received $1,816,617 and McDonald’s sister, who received $1,833,333. After taxes, the amounts were even less. McDonald’s mother will receive monthly installments of $2,821 for 20 years. The teenager’s sister will get payments until 2060. Questions remain as to whether the family of McDonald would have received a much larger settlement had they waited to negotiate a settlement after Van Dyke was convicted of murder. As the transcripts show, the aldermen were more concerned about saving the city money than getting a just settlement for McDonald’s estate. 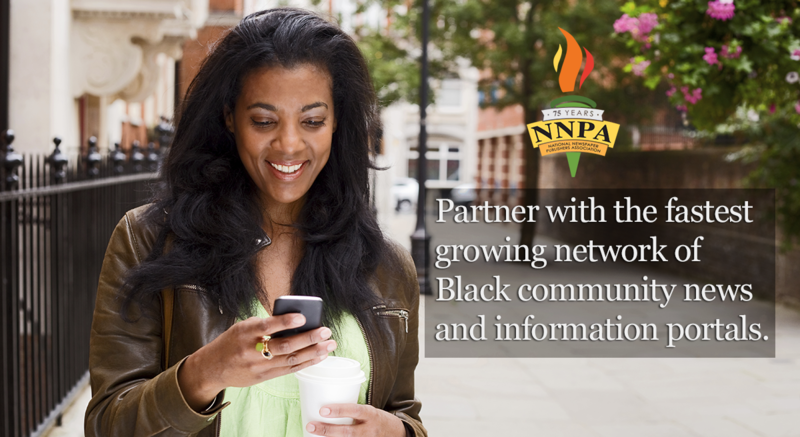 This article first appeared in the Chicago Crusader. Can the Dallas Cowboys Offensive Resurgence Continue?